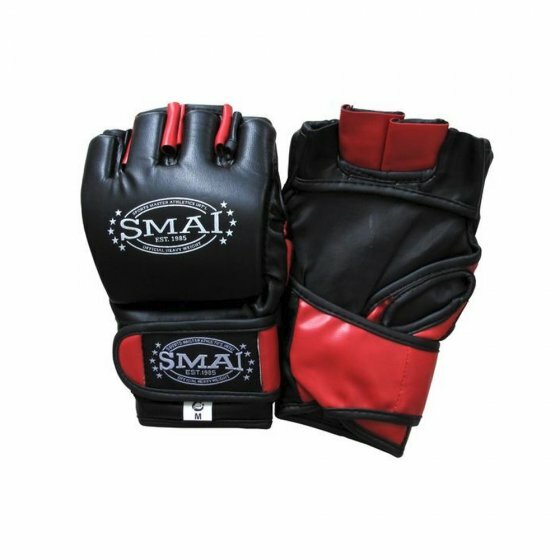 Designed for competitive fighting SMAI MMA Finger-less Mitts are made from easy to clean Synthetic Leather. The Gel A1 layer of foam protects the knuckles, fingers and the tops of the hands making this mitt ideal for pad, bag, and training work. The palm design, which is semi-open, is designed for improving the range of movement without restrictions as well as grappling without restrictions and greater flexibility so you can give 100%.